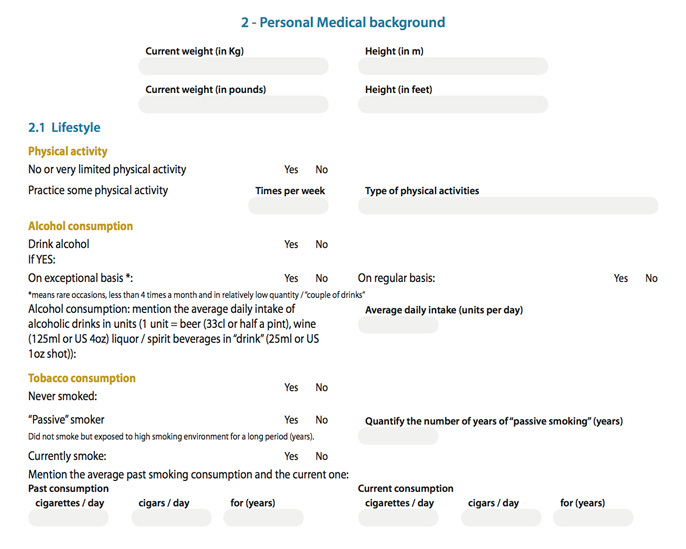 Designed by our medical team, the personal pre-screening evaluation form is easy to fill out in just 10 minutes. 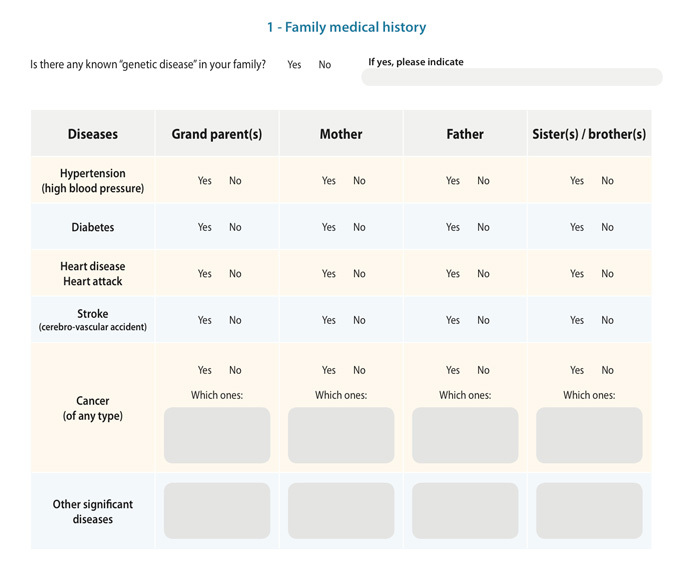 This questionnaire is indispensable; it will allow us to assess your general health and determine the risks you are exposed to, based on your personal medical background, family history and lifestyle. Your questionnaire needs to be sent to CEO-HEALTH (online or by fax at: + 662 653 1227) preferably 15 days before the date of your medical assessment procedure. Within 5 working days after receiving your questionnaire, CEO-HEALTH will confirm the feasibility on your chosen dates (Monday to Friday) and send your program outline and its cost. From your answers, we will chart your customized program and appoint the most suitable specialist team. We need some lead-time to schedule your consultations and all relevant investigations. 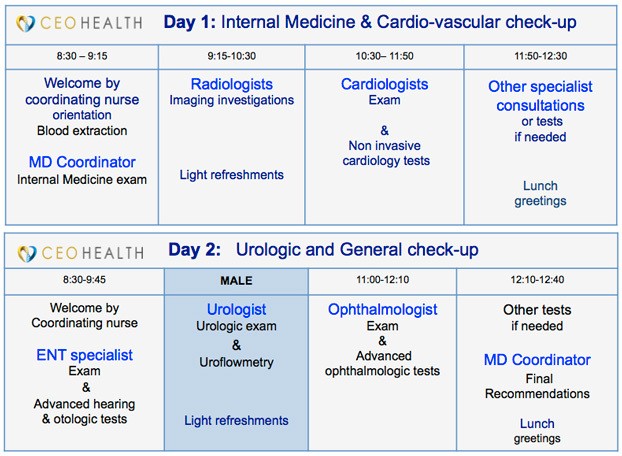 The actual check-up procedure can be completed, in less than 8 hours in total, conveniently set either on 2 consecutive morning periods (from 8:30 to 13:00 / recommended) or in one single day (from 8:30 to 17:00).